New improved lid design! 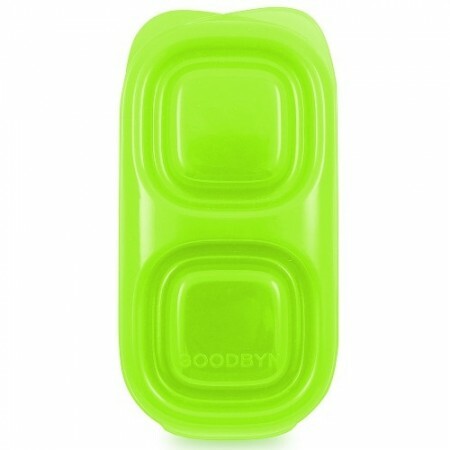 Pack a waste-free lunch with the Goodbyn snacks food container in green. BPA phthalates & lead free lunch box. Goodbyn waste free lunch box food containers designed for versatility for kids, parents, and our planet. Free from BPA, PVC, phthalates and lead. Now with a new improved lid design to ensure it doesn't pop off and is easy for little hands to close! 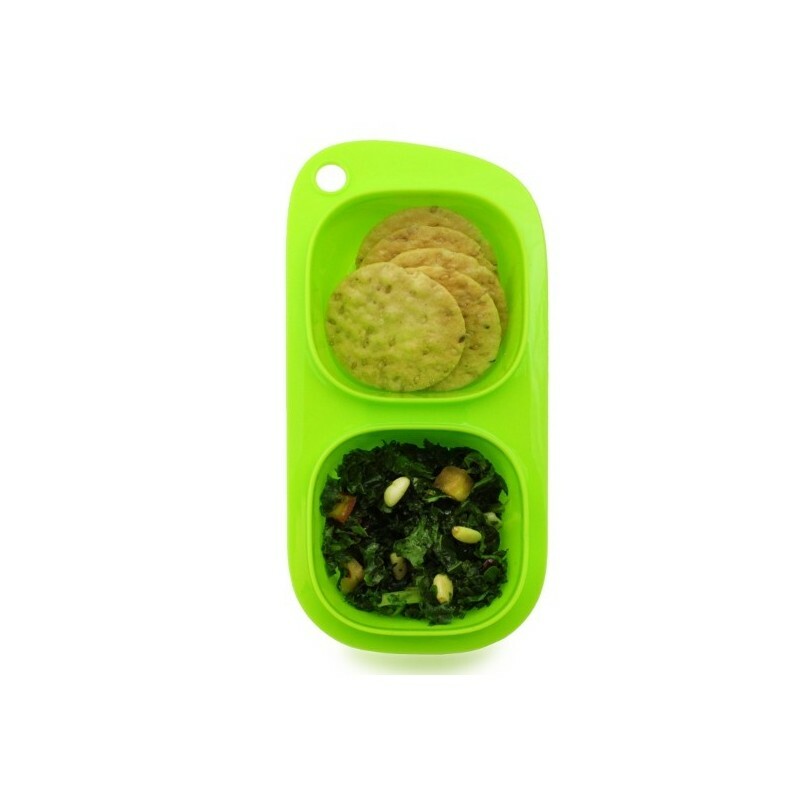 The Goodbyn snacks green food container stacks, nests and travels well with the entire Goodbyn Ecosystem. Create a whole set with other sizes, water bottle, ice pack, insulated lunch bags and dishwasher-safe stickers... all designed to work together! Goodbyn products are not guaranteed to be leakproof (except the dipper container). Helps you save money, time and packaging waste going to landfill. No toxics or heavy metals used in manufacturing the plastic. Made of #5 PP (polypropylene) - one of the most benign plastics on the market. 100% Recyclable at the end of its useful life. Two individual ½-cup compartments. Will fit the small single leak-proof Dipper (sold separately). Personalise with Goodbyn stickers (sold separately). Lead free lunch box, BPA free lunch box, free from phthalates & PVC. 100% FDA approved materials. 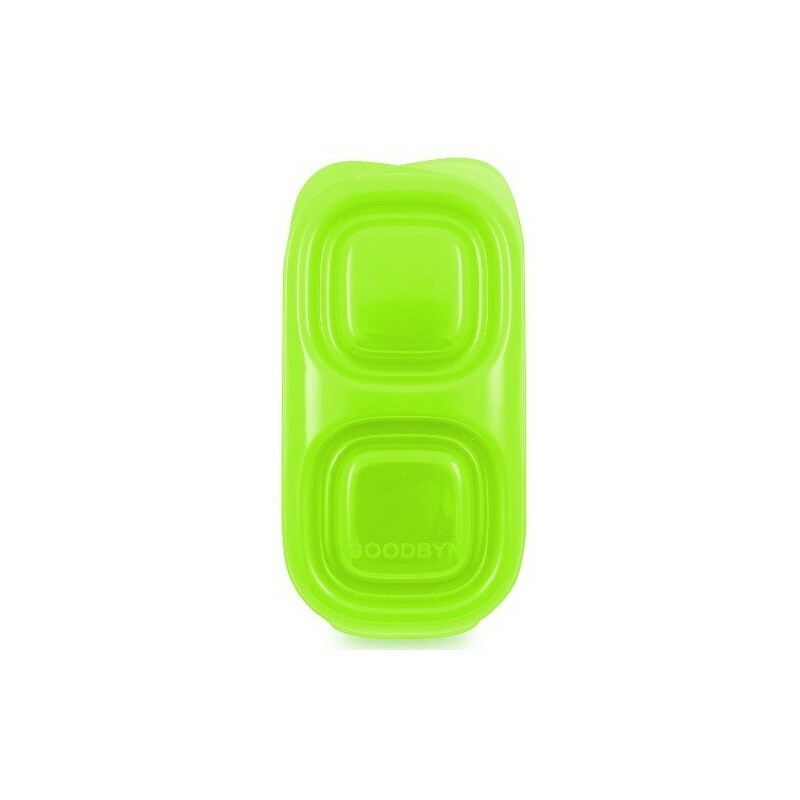 For extra cool, the Goodbyn insulated lunch bags will fit a number of containers or this container and a drink bottle. Goodbyn lids are best closed by first pressing down in the centre of the lid (where there are compartments, press in the centre of each lid area). This squeezes out the air and allows a more snug fit. Then pinch together around the edges of the container as needed. 7cm x 8.4cm x 5cm (2 x 118ml compartments). US company. Made in China. Browse our other Goodbyn lunch box options. See our lunch box size guide showing which containers fit in which lunch bags and boxes.